Waiouru: The laptop wants to retire! Well that’s it…….! All the sons are now winging their separate ways back to Australia. Two in Qantas Business Class demanding a complementary upgrade to First whilst the other is in the hold of a China East Airways Airbus demanding an even cheaper fare. You wouldn’t think they were related! I wonder when we will next see them? Before Daniel left from Heathrow this morning he called to say goodbye and also mentioned he had been staying in contact with friends using “WhatsApp”. This is a clever little application for iPhones, Android phones and Blackberry’s which enables the user to send the equivalent of text (SMS) messages from phone to phone at no cost using the internet. It’s not much use to us because our current plan gives us 3000 text messages per month and we’d be lucky to send one! However I can see others may find it very useful. Back to more mundane matters. Our elderly laptop wants to be pensioned off. Unfortunately for it there are NO uncommitted funds for a replacement so Asus is going to have to keep working. The biggest problem is the failed usb ports. There are three on the laptop and two have totally failed, whilst one wants to take an increasingly frequent holiday! The problem is we need at least two usb ports. One for the wireless mouse receiver and the other to attached devices such as the e-book (for charging), Garmin gps (data transfer), and usb thumbsticks. 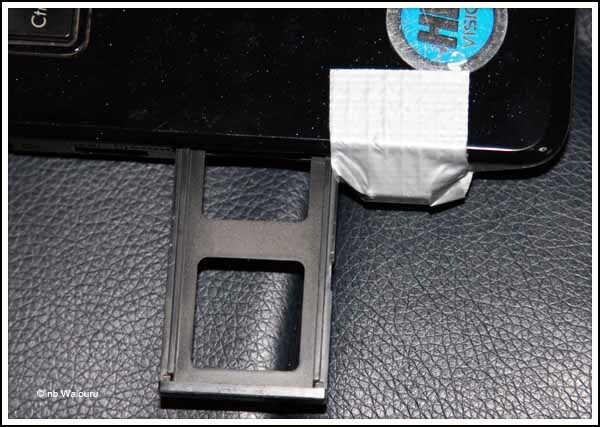 The usb port for the mouse receiver has been kept working by using some duck, duct, gaffa, gaffer, tape to hold it in exactly the right position. The laptop has an unused HDMI port and an e-SATA port. 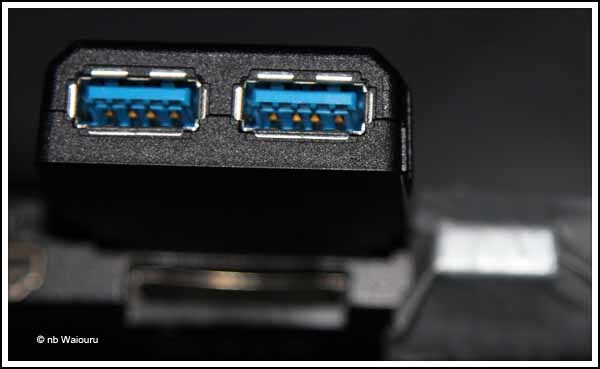 I was fairly certain the HDMI port couldn’t be converted to usb but I was optimistic it might be possible to convert the e-SATA port as it’s a data connection. However after further research I’ve identified this is not possible. Then I realised there was a blank insert beside the SD Card slot. 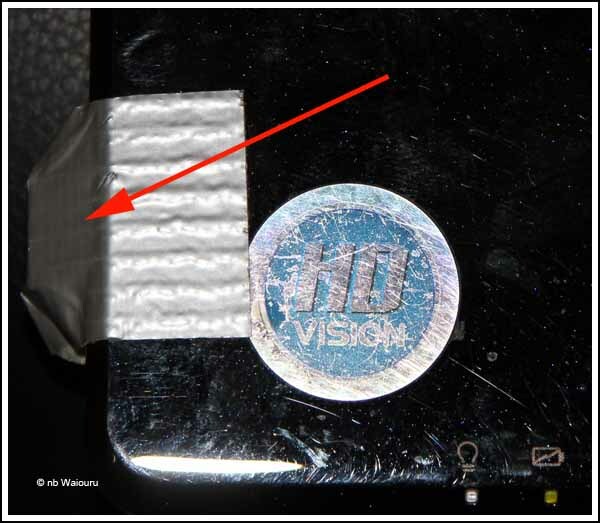 Bottom arrow – SD Card slot. Right arrow – mouse receiver. Top arrow – Express card slot. 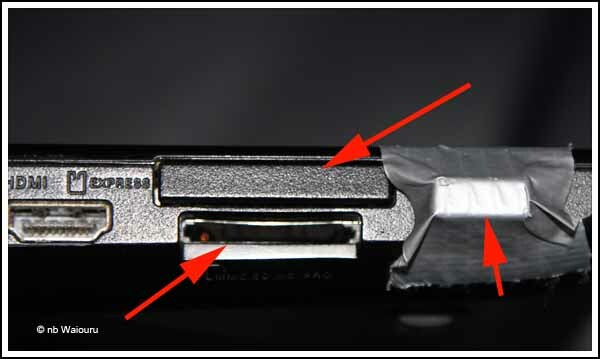 More searching on Google revealed it’s possible to buy a adapter for the Express Card slot that converts it to a usb port. I placed an order for a Transcend adapter. When we purchased the laptop it only had USB 2.0 ports. 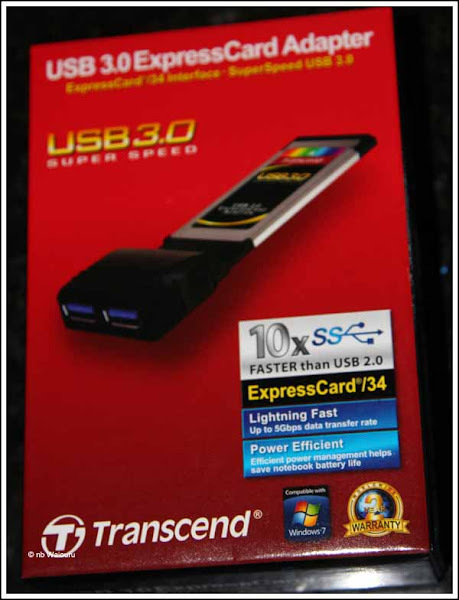 The Transcend Adapter has USB 3.0 ports. Theoretically this makes them 10 times faster than the original laptop usb ports. Next problem was the adapter required an external power source to provide sufficient power to activate the new USB 3.0 ports. But the power has to come from another usb port, and I don’t have a second working port. For every problem there is a solution. Asus have a small program available for download which boosts the power at the ports. The new usb ports on the adapter now work! 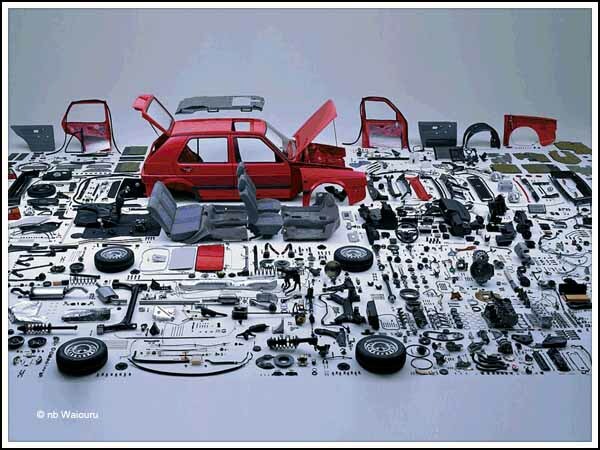 Meanwhile, a good friend in Australia has sent me news that IKEA plan to sell cars. Apparently the battery isn’t included.